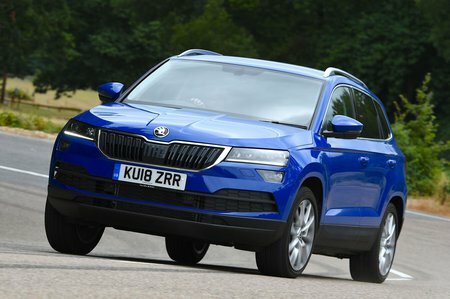 Skoda Karoq SE Review and Deals 2019 | What Car? There’s no stripped-down S version of the Karoq, so the range starts with well-equipped SE models. These get 17in alloy wheels, adjustable lumbar support, a leather-trimmed steering wheel, electric front and rear windows, dual-zone climate control, cruise control, rear parking sensors, auto lights and wipers, an 8.0in touchscreen infotainment system with Apple CarPlay and Android Auto, and 60/40 split-folding rear seats. Add the super-practical VarioFlex seats and the SE is pretty much all you need.